"Workspace Technology's commitment to help clients reduce their carbon footprint through the deployment of energy efficient data centre technology and design". 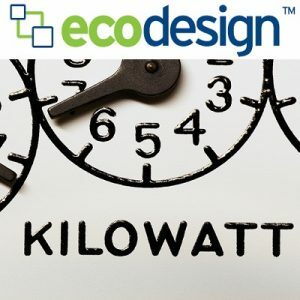 EcoDesign™ is based on the implementation of a set of "common sense" design principles which, when deployed intelligently, contribute significantly to the energy efficiency and performance of a data centre. It is widely recognised that with the trend for increased consumption by IT hardware due to the integration of IoT (Internet of Things) and hyperscale edge technology, data centres are increasingly becoming major contributors to carbon emissions within the UK economy. Energy efficiency is imperative to environmental and IT economic productivity and can no longer be ignored. Slowing the growth rate of electric power use for servers and data centres is necessary to reduce the rate of growth of greenhouse gas emissions. The intelligent application of EcoDesign™ solutions and services by Workspace Technology will deliver a measurable reduction in the power consumption leading to energy efficient data centre infrastructure. Without measurement it can be hard to understand why and where energy performance is poor and how it can be improved. It is a recommendation of the Carbon Trust that sub-metering of high energy infrastructure is implemented. Modular, scalable power and cooling architecture that allows deployment as needed. This is the crucial element for improving data centre efficiency. The implementation of modern energy efficient cooling technologies reduce operational energy overhead. The configuration of AC system set points, more appropriate to modern computer technology, will have a surprising contribution to data centre energy savings. Ensuring a clear airflow path whilst eliminating the mixing of hot and cold air through the deployment of appropriate ducting, aisle containment and airflow management technology will contribute to significant reductions in the energy demand of the cooling system. An efficient room layout will facilitate the deployment of appropriate cooling, allow for a modular growth strategy and assist airflow separation. Correctly position grille tiles will ensure airflow to equipment inlet positions. The installation of modern, modular, transformerless UPS technology significantly improves efficiency and also saves on floor space at typical operating loads. The installation of well designed power paths combined with energy efficient lighting reduces energy consumption. Having established ourselves as one of the UK’s leading independent Data Centre, Design, Build & Management companies over the past several years we are proud of EcoDesign™ which delivers our clients with a "Total Carbon Reduction Commitment" to their data centre infrastructure project. Our EcoDesign™ strategy is continually reviewed and updated as new and more efficient technology and innovations become available for practical deployment. Workspace Technology is committed to total carbon reduction for all our clients across the UK through the provision of Energy Efficient Data Centres. Click here to view our EcoDesign™ brochure.